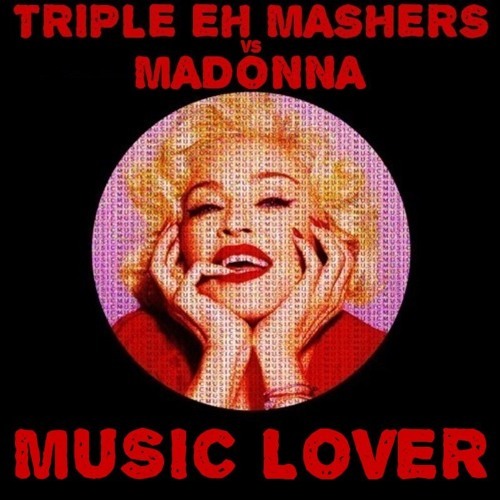 Triple Eh Mashers Remix of Madonna "Music". On this version I took a few loops from Music and cut them up & re-arranged to drums into more of a breakbeat. The vocal I used is by Chaka Demus and Pliers, bringing a more reggae / island vibe to this mix. Please provide us with an MP3 Player TripleEh. I'm eager to hear what you've got. Hey DRA'man. Thanks for trying to coach me on how to properly post my mashups. I appreciate you helping me out, and working on making my posts better. Do you keep hitting me with that message because I don't use a hearthis account ? I've been also trying to post an image link & an mp3 preview but they are not linking properly when I post it. If your trying to help me out you can be more specific with what I messing up at instead of just sending me the same message link, I've read it a few times and trying to do what its says. Please let me know what I should be doing if my posts are still not good enough . I care about the music and mash-ups and want to make this post useful . Thanks TEM ! Triple Eh Mashers wrote: Hey DRA'man. If your trying to help me out you can be more specific with what I messing up at instead of just sending me the same message link, I've read it a few times and trying to do what its says. Please let me know what I should be doing if my posts are still not good enough . I care about the music and mash-ups and want to make this post useful . Thanks TEM ! It's a nice breaky beats mash ;) I look forward to posting woes being fixed. In addition to Dra'man and SgtMash. Sowndhaus is aimed at making mashups; if you post there, you have to make sure because of Canadian copyright law that you mention the sources of your 'hommage' (hommage-up?) anyway, so you can copy that info to Mashstix. Dropbox works great, especially if you need to make more versions of ONE mashup (as I have noted myself haha). Because you can put more previews in ONE post, this makes it easy to compare. On sowndhaus you can change everything (title, description, artwork, permissions to download but NOT the mashup itself). So Sowndhaus is especially good for 'definitive' or 'gold release' versions. For Mashstix it is good to have links in your post to the sources. If tracks are not so familiar (like old and obscure), we can compare what you did to them in your mashup. For some analysis work of a submitted mashup, for instance concentrated listening that requires looping a part, or finding an exact time where timing or key go off (to help you by pointing out) it is good to have a download-link. Also, the mp3-preview does not work if you have no Flash installed (like on my smartphone), so it is good to have a download-link as well, as alternative to the preview. If you use Dropbox, copy the share-link from there, and change the 'www.' to 'dl.' (this also goes for your coverart). If you hover your mouse over the buttons B, i, U, quote, code, list (you will see these when you make a post), you get a help balloon with information how to use every button. For instance with URL you can make a word like 'download-version-3' appear instead of the technical link. In your first post(s), it was not exactly clear (at least, to ME) from the text in your post that you wanted to really SUBMIT the mashup to the always honest, but sometimes tough reviews of expert peers. I mean your words like 'here it is, enjoy'. If you make it to the Frontpage (and your quality is good so you will, at one time) one of the mods will need to download your coverart and mashup, and then upload them again on the frontpage. So it is good to provide this stuff right from the start. Thanks going to give these a try. Cheers ! SgtMash wrote: It's a nice breaky beats mash ;) I look forward to posting woes being fixed. CVS wrote: In addition to Dra'man and SgtMash. Lots of good info here. Thanks for all the help , will start applying this right away. Cheers !